On a very wet bank holiday Monday we headed to Eastnor Castle, Herefordshire to try out their wildplay event. We had pre booked our tickets and nearly didn't go due to the torrential weather predicted, but we didn't want to waste the money we had spent and went for it armed with waterproofs, wellies, umbrellas and multiple changes of clothing! We left home in the pouring rain wondering if it was a good idea, at worst we could just look around the castle and bow out. When we arrived we sat in the car and ate our picnic lunch, all four of us in the front seats, the Little ones thought it was great, the rain running down the window! We decided to head around the castle first as I'm sure they would not have appreciated 2 very muddy children tramping around the rooms if we had done it the other way around. It was raining steadily but not too heavily, we weren't getting very wet very fast. After looking around the castle (sorry no pictures as there was no photography allowed!) we headed towards the wildplay event and on the way passed the play area. There was a full size landrover, a motorbike and a tractor to play on as well as swings and slides, it was a bit unsafe to go on the treetop walkway as it was so wet so we missed that out. After we had dragged two soggy bottomed children from the play area we carried onto the wildplay event. It was run by a company who try to encourage a love of the outdoors through play. First the Little ones made a pretend animal foot print using sand and plaster of paris but they didn't turn out that well as it was so damp, they fell apart on the way home! In the next tent they did something I hadn't seen before, Little 1 was given a sheet of linen and asked to lay leaves and petals on it in a pattern or a picture and then given another sheet of linen to lay onto then handed a hammer and encouraged to bash it as much as she could. This caused all the chlorophyll and dye to be released from the flowers/leaves and onto the linen creating two identical pictures, once the petals etc had been brushed off, she was then given some pens to decorate her picture. It looked really good and we will be trying this again at home with lots of different coloured petals. We then moved onto the bit the girls had been waiting for, the den building and mud kitchen which was down in the forest by the lake, they headed straight for the mud kitchen. 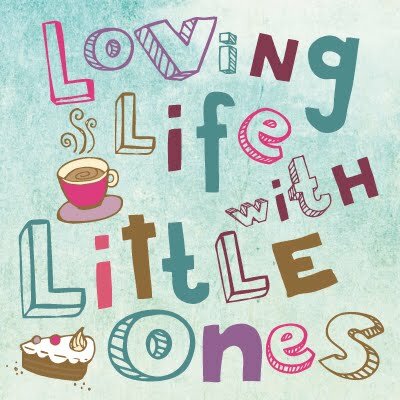 The Little ones got stuck in making mud pies, Little 1 was baking apparently and Little 2 was making cups of tea. They got absolutely caked in mud and had smiles plastered across their faces to match. Once we had cleaned them up a bit in the water provided, we decided that we'd had enough of the rain, the children were getting tired and damp, and headed for the car jumping in puddles along the way to try and get some of the mud off! We peeled off soggy rainsuits and changed them into cosy dry clothes. I had brought a flask of hot chocolate and some snacks so we refueled and warmed up before heading home. A day we thought was going to be a washout was actually quite enjoyable, we had ended up staying all afternoon! I'm glad we went. I can’t say that I like to get my hands dirty. Muuuud! I'm not sure whether I am relieved or sad that we don;t really live close enough to visit. My kids would love that. As long as it washes off I don’t mind the occasional mud adventure!